RICHMOND, Ky. — Eastern Kentucky University’s new science building now has 120 solar modules to help the campus increase its renewable energy supply and reduce its carbon footprint. Final installation will be complete Monday. 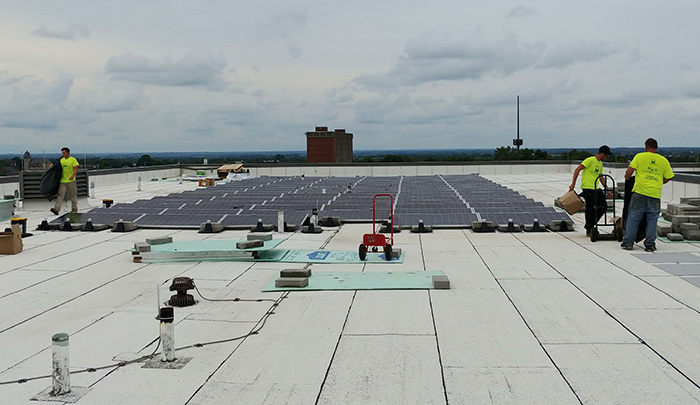 Solar Energy Solutions of Lexington installed the solar array, which provides a total of 39.6 kilowatts of power and provides hands-on learning opportunities for the students. Looks like a good way to get more insight in solar energy and data and helping the environment become a bit better.